New car sales figures released last week confirm that electric cars are on the rise, with sales up 102pc on last year. To date, more than 1,078 new electric vehicles (EVs) have been sold and 458 imported, compared with fewer than 1,000 new and imported for the entire of 2017. Hybrid and plug-in hybrid models continue to attract buyers and more than 7,350 hybrids have been bought this year alone. The term 'hybrid' refers to a patchwork of alternatives, from mild hybrid to a plug-in hybrid (PHEV). All hybrid systems have a regular combustion engine, an electric motor and a battery pack and all produce some emissions, so cannot be considered electric cars. With a PHEV, the battery can be plugged in directly and charged as you would an EV, allowing for an electric-only range of up to 50km. More than 90pc of hybrids bought this year were conventional or "self-charging" hybrids. Opting for regular hybrids indicates that many motorists are still wary of the lack of charge points and the time it takes to recharge. And with good reason. Despite the 1,200 ESB charging points around the country, the poor reliability of the charging infrastructure remains a huge stumbling block. A significant factor when buying an electric car is how easily it can be charged and the time this takes. While it is considerably cheaper to run an electric vehicle ­- it costs less than €4 to travel 300km - these substantial savings have not been enough to convince buyers to convert. This is due in part to the perception that new electric vehicles cost more to buy than petrol or diesel equivalents. 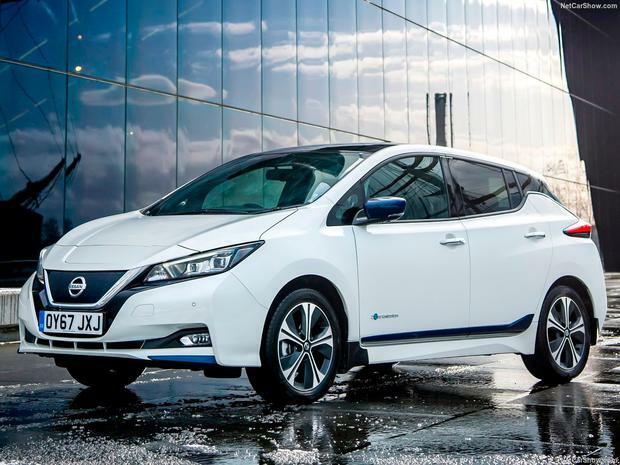 The average cost of a new car in Ireland is €28,000, and three of the best-selling EVs, the Nissan Leaf, Hyundai Ioniq and the Renault Zoe, are all priced below or barely above that price point. And EVs have fewer moving parts so maintenance and servicing costs are much less, considerably reducing the total cost of ownership. Another major roadblock to mass EV adoption lies with the Government. To support the switch to zero-emission vehicles, a reliable and extensive charging infrastructure is needed. Motorists may only drive 30km a day but they still want the security of knowing they can travel 300km if they need to. The availability of a free charging network is regularly cited as an incentive; however, charging for usage and investing in the network may yield more results. Government has a major role to play in shaping the adoption of EVs, but more important are carmakers in this future. Apart from the convenience, a significant reason why consumers are opting for hybrids over pure EVs is that carmakers have launched only a small number of fully electric models. Next year will see a raft of new models from big manufacturers. Mercedes has just unveiled its first fully electric SUV, the EQC, arriving here next year, while Audi will unleash its E-tron at the end of the year. The onus is not simply on the Government to encourage people to buy electric; the push must come from car dealerships. Showroom staff are central to ensuring that buyers have the information they need to understand the benefits. Allowing longer test drives and having dedicated EV sales experts would also be a positive move.